Michael Riley (Director, Schools History Project) introduces the authors to the framework of inquiry. In November, educators from Turkey, Cyprus, Lebanon and Jordan came together in Nicosia, Cyprus, for the first time to start working on learning activities for intercultural citizenship. The group was hosted by the Association for Historical Dialogue and Research (AHDR) at the Home for Cooperation. 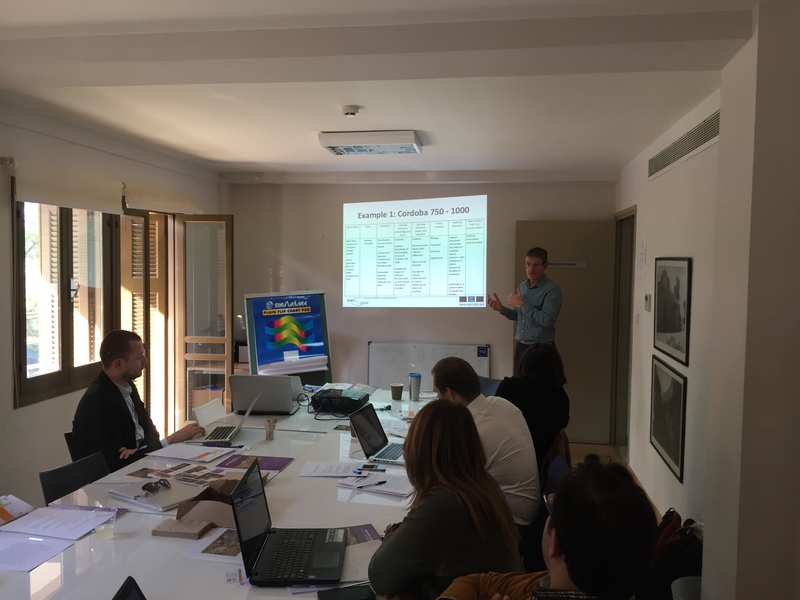 The meeting is part of the project “Learning about (Y)our Past: History lessons for intercultural citizenship in the Euro-Med region”, funded by the Anna Lindh Foundation. The project aims to help young people in the Euro-Mediterranean region to acquire competences for intercultural citizenship by learning about identity and diversity, about positive intercultural encounters and addressing emotive and controversial issues in history education. Together with partner organisations AHDR and the Lebanese Association for History, a team of six authors was selected to develop the learning activities together. The learning activities will be developed in English and subsequently translated into Arabic, Greek and Turkish. The team will receive training and supervision from Michael Riley, director of Schools History Project and co-author and editor of “On a Common Path”.